Tega Cay Art Sale! 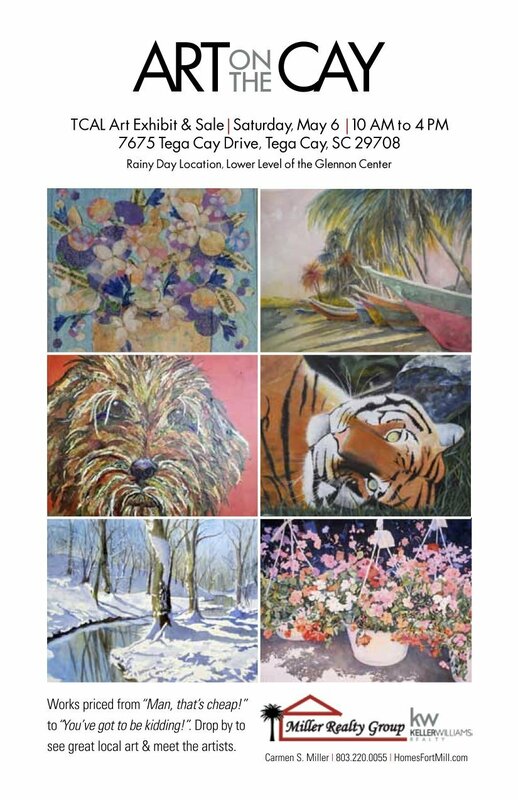 – ART ON THE CAY ~ SAT 5/6 ~ 10:00 AM – 4:00 PM at 7675 TEGA CAY DRIVE, SC 29708 ~ Join Miller Realty Group as we host this year’s ART on the CAY brought to you by the Tega Cay Art League. Whether you are an art enthusiast and just want to enjoy the talent or looking for some new pieces to buy to brighten up your home or workspace this is the place to be. There is something for everyone at this art venue, where you will also have ample opportunity to meet the artist and learn the story behind your new work of art. Admission is FREE; we will see you there.